Pediatric Bodyweight Based Calculations is a highly interactive, visual and self-paced learning environment designed by experienced nurse educators and clinical pharmacists. This Advanced Skills module builds upon the dosage calculation competence developed within the Essential Skills module. It is designed to develop and assess the competencies required for safe medication practice with the more complex problem solving and calculations associated with pediatric bodyweight-based problems. Use the 5 Rights of Medication Administration to deliver prescribed medications to an infant or child. Determine safe and therapeutic dosage ranges for the pediatric population. 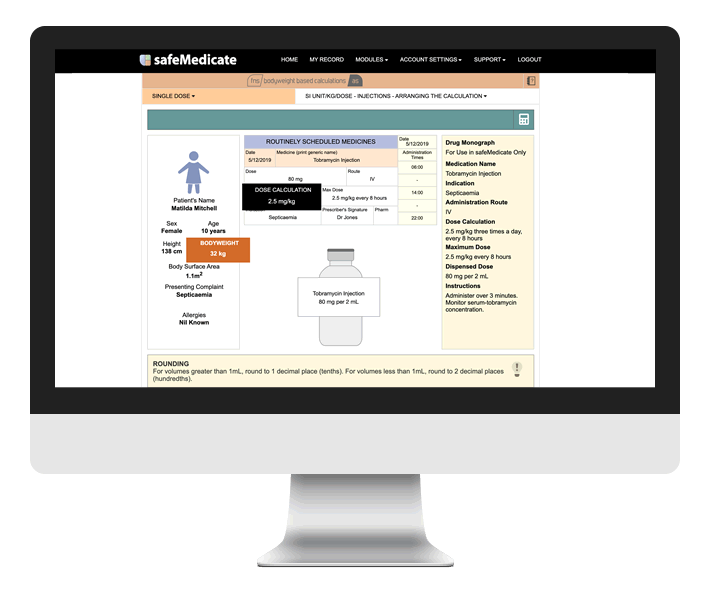 Calculate single and daily divided drug dosages based on the pediatric patient’s body weight. Scrutinize medication orders and to identify errors in prescribed medication dosages. 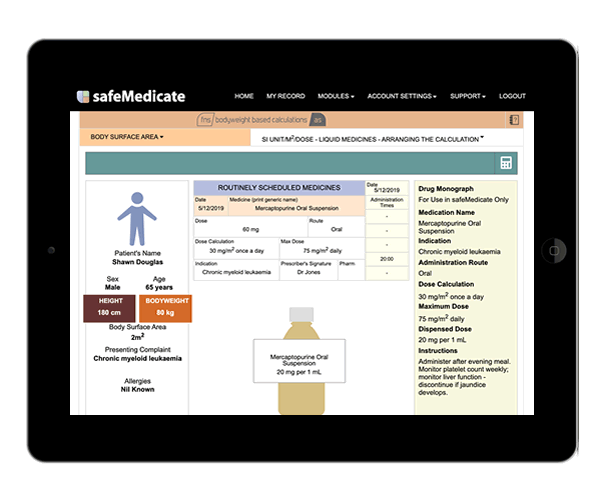 Demonstrate medication administration skills by selecting the correct syringe and measuring the correct volume of oral and injection medications.